Work injury compensation for tradesmen. That's our specialty. If you’ve been injured on the job as a tradie, we’ll help you get the maximum compensation payments available to you. Our specialist work accident injury lawyers ask more questions and get to know you personally, so you’ll get more compensation. Whether you’re an electrician, plumber, carpenter, painter or any other trade professional, we understand that time off the tools means lost income. If you’ve been injured at work, our job is to make sure you’re compensated and get everything you’re entitled to. Injuries can happen because of accidents or they can develop over time – for example, regularly lifting heavy objects without the right lifting equipment. If you’re working for someone else it’s important to report your injury to your employer so that a claim can be lodged with their insurer. Whether you’ve been in an accident or developed an injury over time, you can also speak to a specialist workers compensation lawyer and get advice. It costs nothing to call Law Partners for advice, and we’ll put you straight through to one of our workers compensation lawyers. Even if you’re a tradesman working as a sub-contractor and you’ve been injured at work, you can still claim compensation, but you’ll need to establish that you were working under the care and control of a “deemed employer”. If you’ve been paid cash in hand, workers compensation may still be available. If you’re unsure about how to identify your deemed employer, one of our specialist workers compensation solicitors will be able to explain over the phone where you stand. If you’re a sole trader with an ABN number, then you might need to claim under your own workers compensation insurance policy if you have one. If you don’t know whether you’re covered under a workers compensation policy, you can call Law Partners for free legal advice. What happens if I can’t return to my trade? If your injury is stopping you from returning to your trade, you might be able to make a claim for total and permanent disability (TPD) as well as workers compensation. This is a separate lump sum payment that’s available through a separate TPD policy, and is included as part of most superannuation policies. 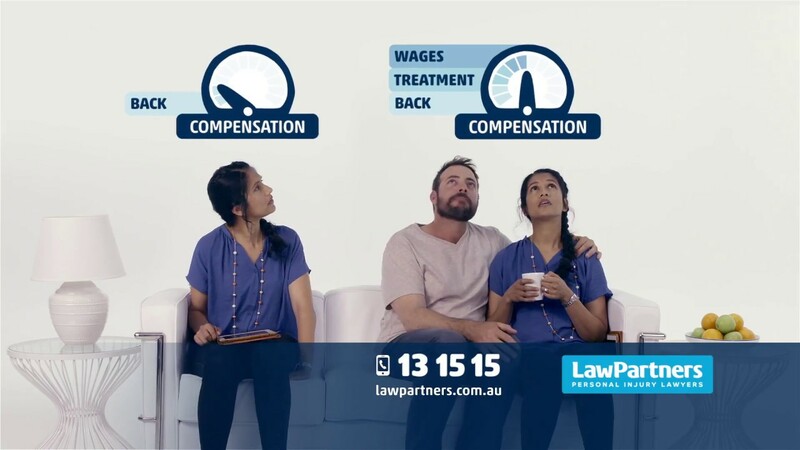 As well as specialist workers compensation lawyers, Law Partners has specialist TPD lawyers who are available by phone to advise you about your entitlements. A tradesman injured in the workplace may have rights to claim common law damages. A common law damages claim under the workers compensation system is known as a work injury damages claim. A work injury damages claim is made when an injured worker sues their employer for damages due to negligence, to cover loss of past wages and loss of future earnings capacity. To be eligible to claim for work injury damages, the work injury must be a result of the negligence of the employer, and the injured worker must have an assessed whole person impairment (WPI) of at least 15%. We have extensive experience with successful claims, and we employ specialist work injury damages lawyers who can provide free advice on this over the phone.